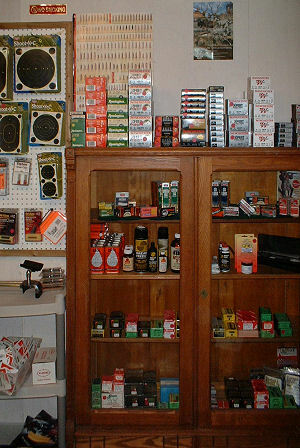 Welcome to Bill's Accuracy Shop. 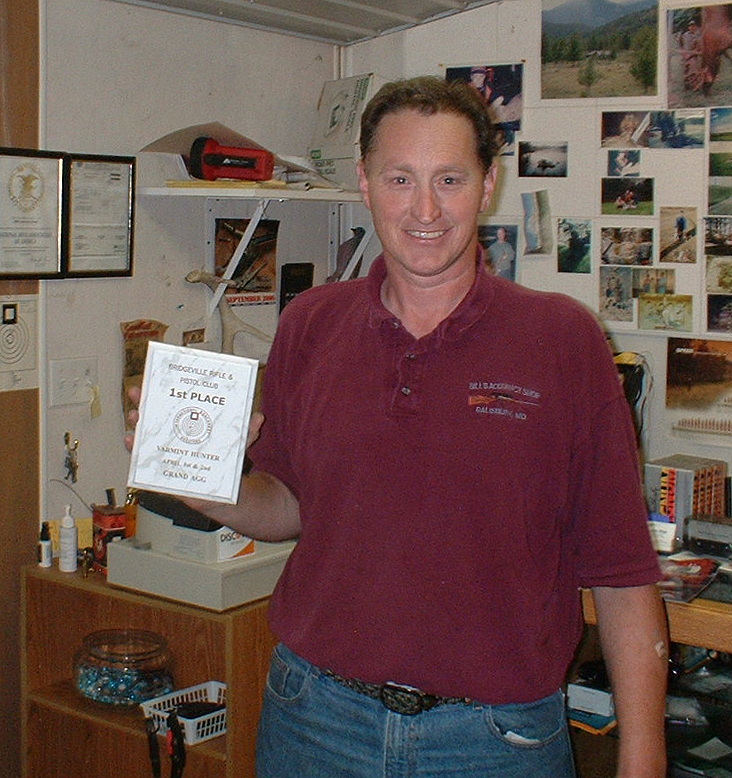 Bill and the staff spend most of their time working on customers' rifles, so you'd need to make an appointment if you wanted to visit. 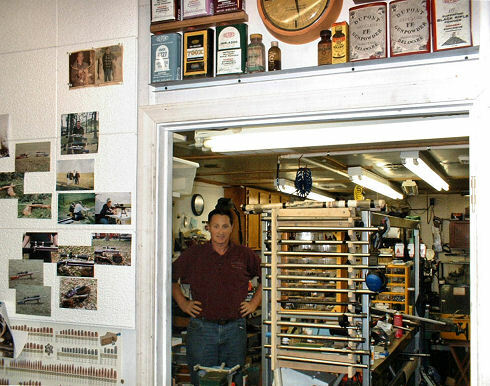 This is the door to the back room where most of the magic happens. 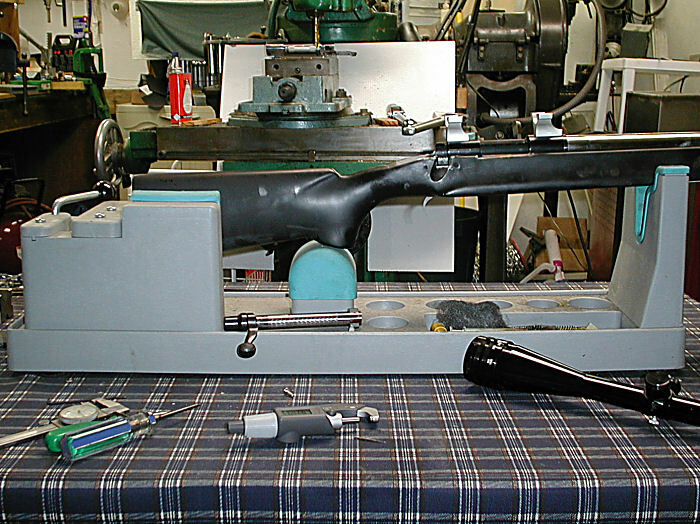 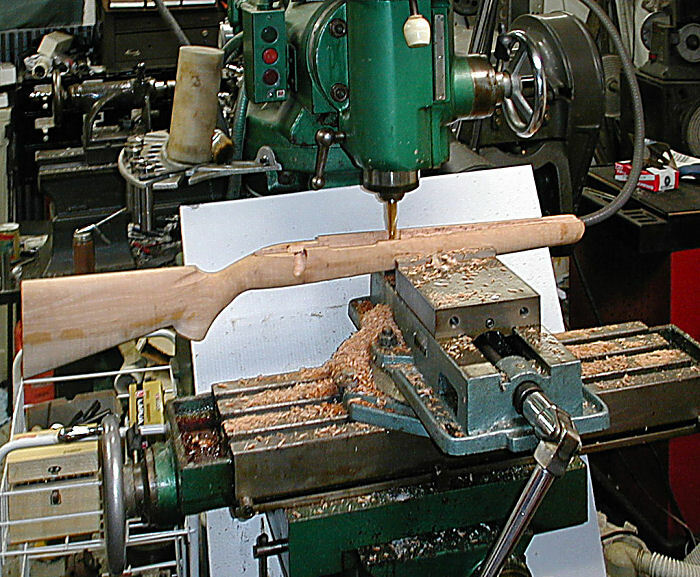 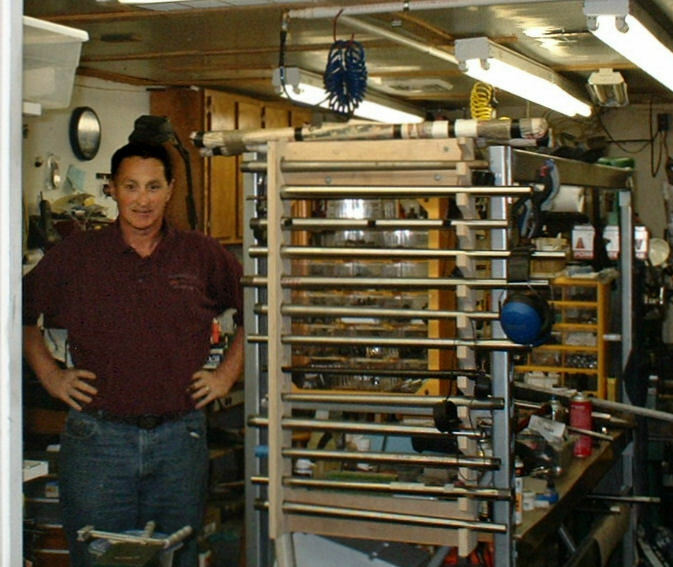 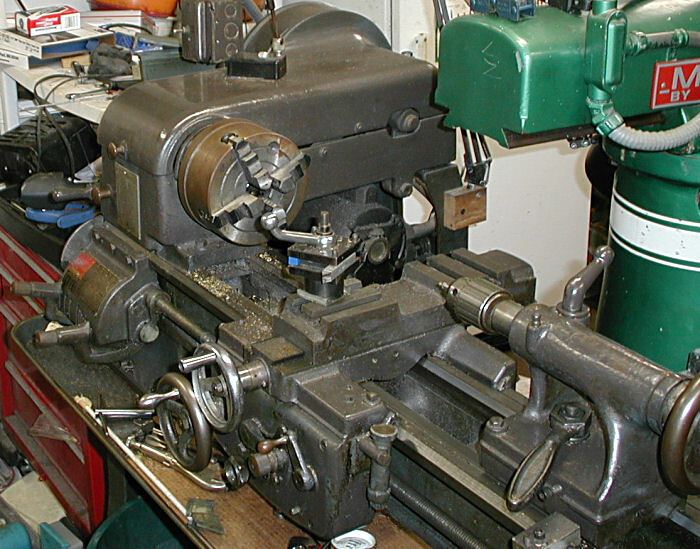 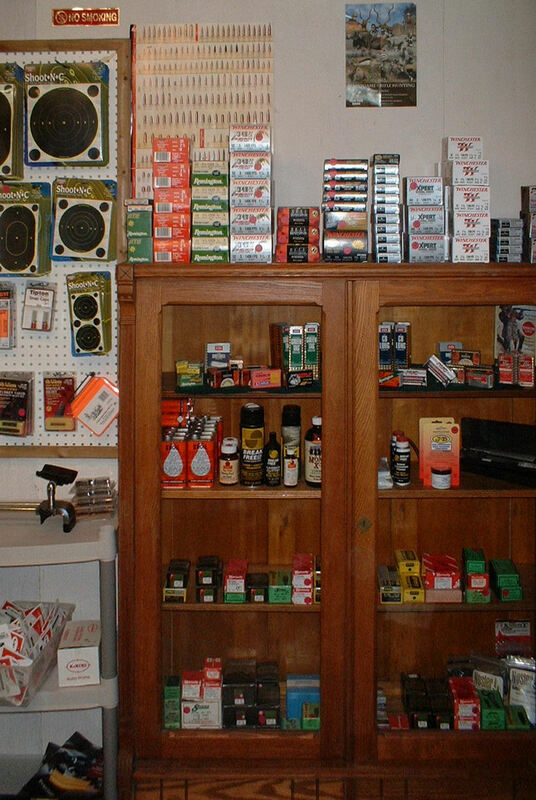 Besides some high-precision machining equipment and an amazing array of supplies, the shop contains a wealth of interesting gun parts and guns in all stages of development. 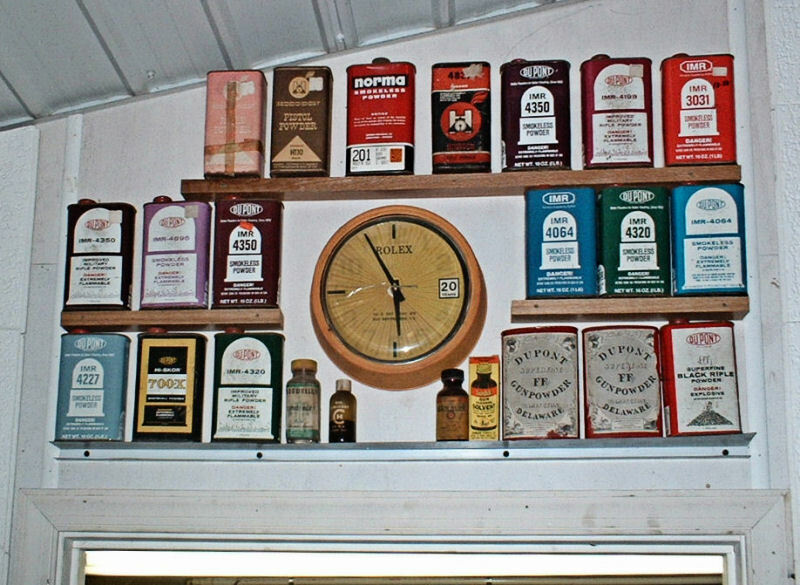 Other fun things to look at are the old powder can collection and some impressive targets and nice letters sent in by happy customers. 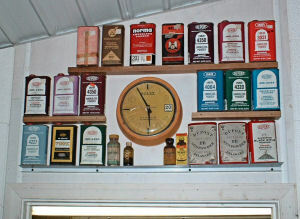 Above the shop door is Bill's collection of vintage gunpowder cans. 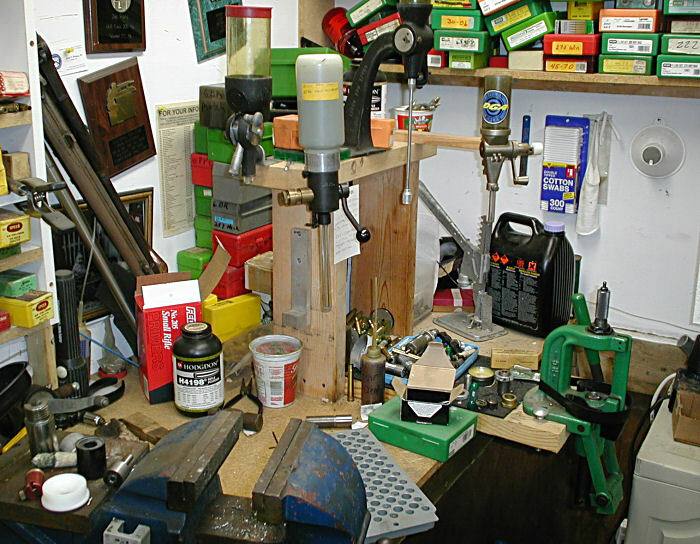 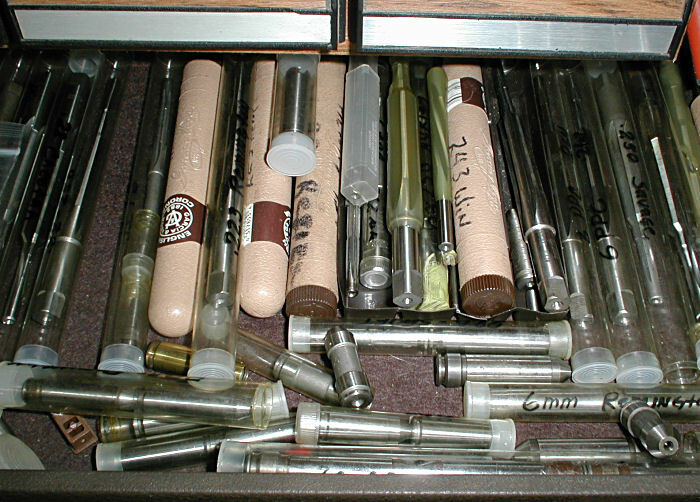 The whole shop is full of obscure and fascinating gunmaking supplies, such as the cabinet at left, or the drawer full of chamber reamers below. 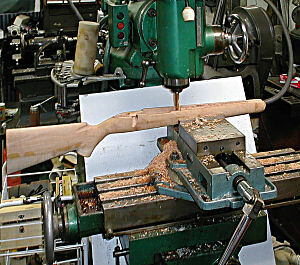 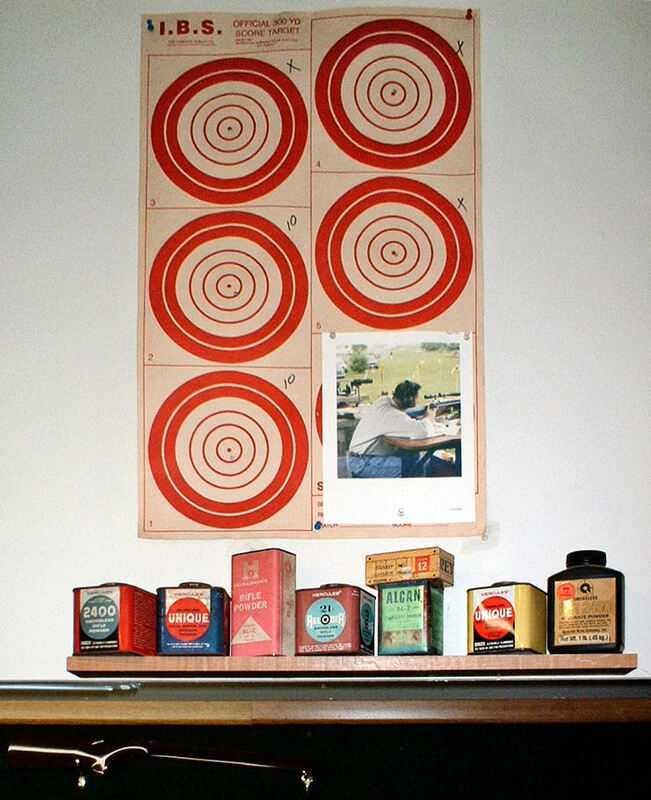 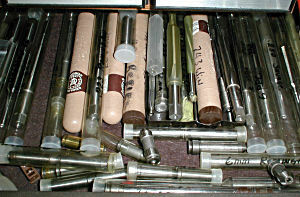 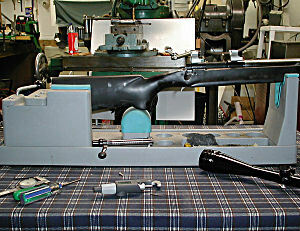 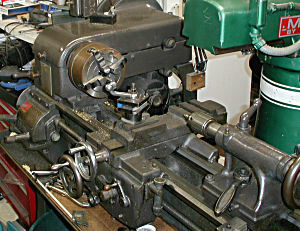 Below are snapshots of some of the equipment used in making guns and cartridges. 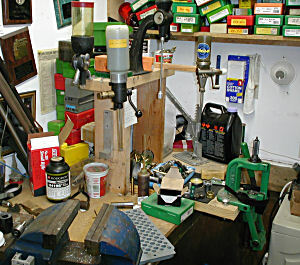 These are actual pictures of a working shop, not something prettied up for the camera.